The focus should be on responsibility, follow up actions and the omnipresent culture of impunity. There is no point in blaming only the ground staff, pilot and the purser. If the management is relaxed, willing to overlook and not keen to take action, why blame the staff – whether in the ground or in the air? 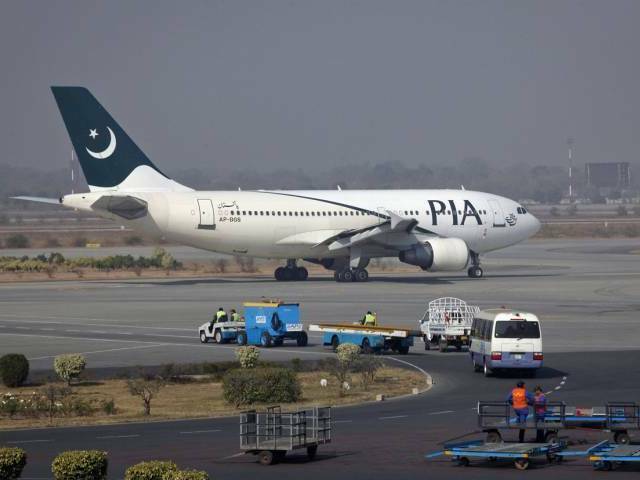 Flying with seven extra passengers “standing” in the aisle, the recent Pakistan International Airlines flight from Karachi to Madina has added further to the recent PIA controversies. Remember the sacrifice of goat on the tarmac in December 2016 in front of an ATR-42 aircraft asking for divine intervention to ensure safety? Remember the military jets of the British Royal Air Force, in early February 2017, escorting a PIA flight bound to Heathrow to another airport in Essex, because of a “disruptive passenger”? During the last two years, PIA has been under the cloud. There has been a debate about the privatization of the PIA; the pilots went on a strike, followed by protests by the ground staff. The customers have been complaining about declining standard in the quality of service – both onboard and in ground. Externally, regional airlines, especially from the Middle East – Qatar Airways and the Emirates have been eating into PIA’s traditional domain. The recent controversy came to light during February 2017 with an international PIA flight carrying seven extra passengers “standing” in the aisle. They were provided with “hand written” boarding passes; hence, it is not a question of error in the system – those who ever issued the passes, knew that there would be no seats for these seven passengers. The ground staff should have been well aware about the extra passengers, for the system should have alerted when the passengers show their boarding passes before leaving from the airport gate. Before the flight started moving from its bay, the crew should have noticed that there are seven passengers “standing” in the flight. Weren’t they supposed to “prepare” the flight for takeoff, and make all those standard announcements? The crew should have known well before the flight leaving its bay and should have informed the pilot. In particular, this is the job of the chief flight attendant referred also as the flight purser. According to the purser, the captain was informed about the extra passengers. Clearly, neither the purser nor the captain is willing to take the responsibility. According to the pilot, the computer generated sheet that was given to him did not show any extra passengers. He has been reported to have told: “I had already taken off and the senior purse did not inform me about extra passengers before closing the aircraft door. Therefore after takeoff immediate landing back at Karachi was not possible as it required lot of fuel dumping which was not in the interest of the airline.” The captain should have returned to Karachi, the moment he was told about the extra passengers; but the interest of airline was more important to him than the safety of his passengers. The general debate in the media about the issue is more sarcastic on the nature of PIA and its services. And the focus of debate is also more on the “safety” of the aircraft and “protocols” to be maintained. There are numerous questions on what would have happened in the air to these passengers, if there is an emergency. The primary question rather should have been what had actually happened in the ground, which allowed the seven extra passengers in the first place. The focus should rather be on responsibility, follow up actions and the omnipresent culture of impunity. There is no point in blaming only the ground staff, pilot and the purser. If the management is relaxed, willing to overlook and not keen to take action, why blame the staff – whether in the ground or in the air? And this is also not just a national question; there are international agreements/conventions with the International Civil Aviation Organization and the Convention on International Civil Aviation. Pakistan is a member of the ICAO and had signed the Convention in November 1947 itself, immediately after its creation. Among many other things, the Convention does focus on the issue of safety. Even if the management is unwilling to act, the State has to step in and demand accountability. Seven extra passengers of PK-743 are not just an internal matter of the PIA. While it is important to look into safety of the flight and passengers in air, it is also important to look into the ground safety of passengers and their possessions, and also the goods at the ground as well. In this context, it is not only the airports in Pakistan, but in rest of South Asia as well, much needs to be done on ground at the airports. Though Colombo had set its standard much before the other South Asian airports, some of the big cities in India, for example New Delhi, Mumbai and Bangalore are catching up. However, smaller airports in India, and some of the “international airports” in rest of South Asia are lagging behind. Anyone who had entered Kathmandu through its airport would vouch for it. The issue here is not only the safety of passengers – whether in air or in ground, but also their behaviour especially in South Asia. European crew – from the British Airways to the Lufthansa, that serve our passengers, especially flying into South Asia would tell horror stories about our onboard behaviour. In fact, they consider it as a punishment while serving in these sectors. While some of us are “sober” and remain to our seats, others are boorish, rude and uncouth. We behave badly with our fellow passengers and also with the crew. The washrooms, especially in long flights would tell the horror story. Worse, we would not behave in a similar fashion, if we are taking a flight from London Heathrow to JFK New York. But, even bigger question, especially relating to travel safety is how South Asia travels. While the issue of “seven” passengers have made a big story – what about how we use (or abuse) our travel in buses and trains. Let us take a minute and observe how we travel to our home towns before and after Eid, Diwali and Poila Baishak. Forget about our travel during festival times; observe how our children travel schools and colleges every day using public transport. While the elite schools and colleges may have the luxury of buses – air-conditioned and otherwise, most of our children travel hanging or on the top. So, why should we get offended and be sarcastic about the PIA carrying just seven passengers? Perhaps the problem is not only with the PIA. Perhaps, the story of seven standing PIA passengers is an ugly expression of a problem elsewhere.